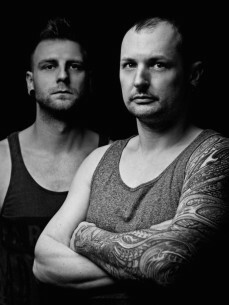 Inspired by many years of dedication on production and different musical influences they now stand as DJs in front of their crowd. The common musical path determined by a further project to expand - the A-Brothers were born! This dynamic duo stands for breath-taking techno-productions and live-shows. They prefer to play their remarkable DJ-Sets on four decks and two mixers. This talent and the exact co-ordination between these two friends make every show unforgettable.